There is a reason why I listed this one first. I believe the biggest risk of all is when the IT organization is focused on “X, Y, and Z” and your company needs you to focus on “A,B and C”. Studies have suggested for many years that over 50% of all IT organizations are out of sync with their company, , , i.e., the “business”. I’ve seen this firsthand in many situations and the interesting thing about it is that, , , the CIO doesn’t realize or think he or she is out of sync when it occurs. It’s such a big deal that you see in most CEO and CIO surveys that this issue is almost always in the Top 3 of their List of Concerns. It only takes an hour or two in an IT assessment to discover if the IT organization is “in sync” or “out of sync” with the business, , , not a lot of time. So, why do CIO’s who are out of sync with their business clients not realize this? There could be several reasons but I think it usually comes down to, , , they aren’t communicating with and listening to their client (senior managers and department managers of the company). If your senior management team says these things, , , you are out of sync with the business. Here is why, , , if you develop an IT strategy and communicate it with your senior management team and gain their agreement and commitment (meaning they will fund and support it), , , then there is no way for them to say the things I listed above. 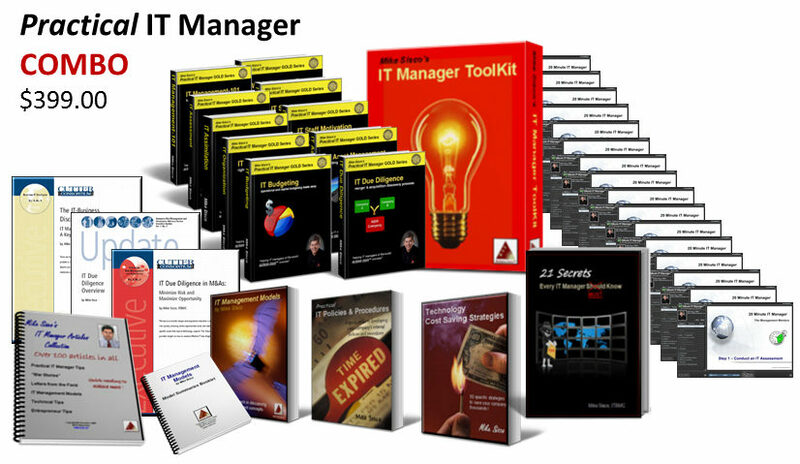 Senior management becomes an integral part of your IT strategy. In fact, if you handle it properly, it becomes a “company strategy”, , , not an IT strategy. When other department managers learn about these plans, it comes across less confrontational when it is delivered as a “company plan” versus a set of “IT initiatives”. Conduct an IT assessment to determine the business needs and issues your IT organization should address. 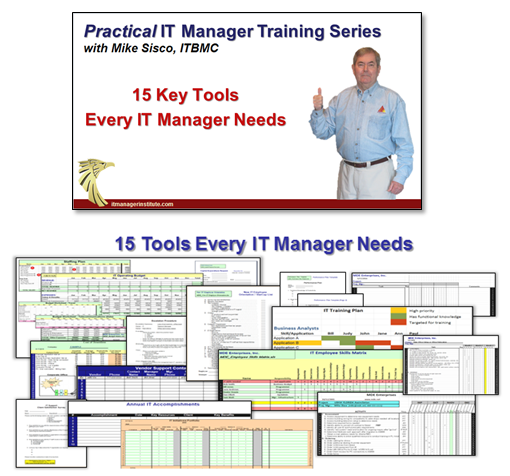 Develop an IT strategy based upon these needs and issues. Do these things and there is no way for you to have an IT – Business disconnect in your company. Where CIO’s get in trouble is that they don’t take time to conduct a thorough IT assessment and to develop an IT strategy based upon the business needs and issues they would discover. Often, this is because they are focusing on technology, , , and not the business. It’s all about the business, , , it’s not about the technology. Technology is only something that’s needed to achieve the ultimate goal of a company, , , technology is usually not the core competency of the company. Technology is important certainly, , , even critical in most companies, , , but it is not the real focus of the company to achieve its goals and objectives. Because most of us in IT are shy and introverted, we tend to skip the communication parts. We would prefer to just be able to go work on the projects and not have to communicate where we are going, why we need to do things, , , we would just like to have our teams go do the work. Successful CIO’s know how important effective communication is in their success so they implement communication processes that forces their organization to communicate. So, develop your recommended initiatives from the business needs and issues, communicate and gain agreement from senior management, , , and then, and only then invest time, resources and money on these projects. Do this and your IT organization will always be aligned with the business. 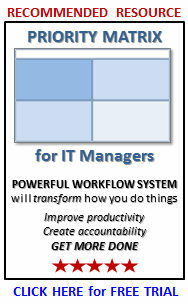 This entry was posted in IT Manager Tips and tagged it business alignment, it in sync, keep IT in sync, productivity. Bookmark the permalink.